What’s even better than finding mystery eggs that hatch into magical creatures? Going to the fantasy land of Hatchtopia to watch a fireworks display! Ava and Oliver are really excited about their trip. 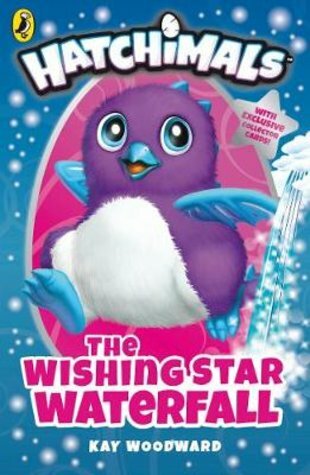 But trouble strikes when the Hatchimals’ world turns freezing cold. The fireworks display can’t happen unless it’s sunny. But the Wishing Star Waterfall has frozen, and there’s no way to wish away the snow! Where has all this wintry weather come from? Can Ava and Oliver melt the waterfall and save the fireworks?